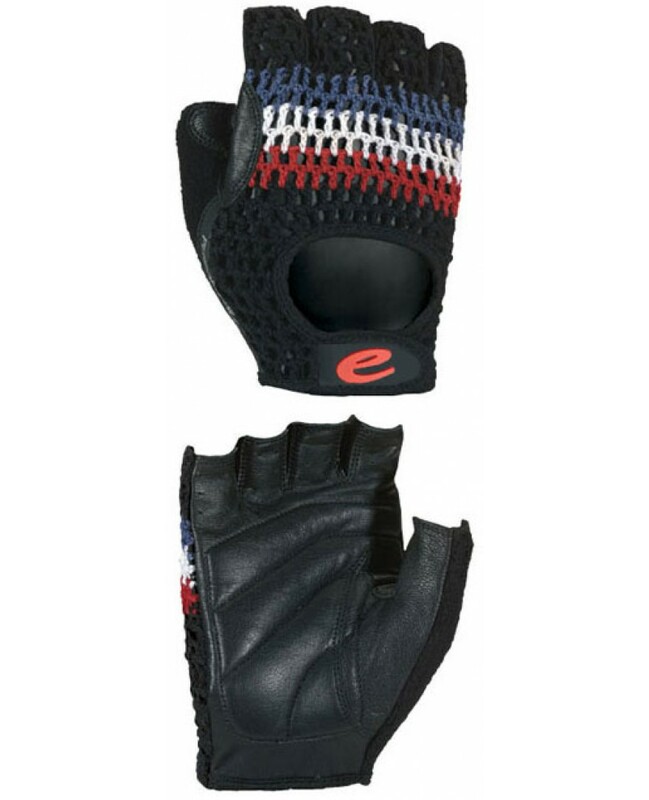 Check out the eCycle Crochet Glove Red/Wht/Blue. Made with a genuine leather palm with foam padding for durability and comfort. Classic crochet open back keeps you comfortable and cool. Sweat absorbent thumb. Velcro closure strap.